A desirable exterior feature like the patio, makes a property more functional and valuable, yet the patio is exposed to the elements all year round and needs proper cleaning care to keep it looking better for longer. Weather exposure is not the only thing that affects the patio for the worse, on many occasions, fuel from gardening equipment, household chemicals like bleach or other aggressive chemicals and substances can stain, discolour or otherwise diminish the patio’s lovely appearance. Issues like mould, moss, built up of clay from soil etc. are all natural and expected, they tend to become a problem for the patio little by little with every day gone by. Our specialised patio cleaning at Cleaners Liverpool is a highly efficient cleaning service delivering industry standard cleaning results on various type of patio surfaces and finishes, including brick and stone. There will be no risk of mechanical damage or any other alteration to the patio’s look or grip properties as we use certified, professional cleaning systems and equipment. Scrubbing and rubbing the patio cobble stones or brickwork using any conventional materials would be highly inefficient, as it would take a high number of man hours, thus making one such service potentially expensive and not really worth people’s while. 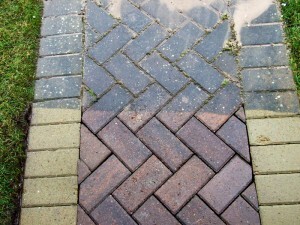 This is why professional patio cleaning is done using industry grade pressure washers, also known as jet wash. The jet wash, as its name suggests expels a high powered, pressurised stream or jet of water which mechanically removes any grime, dirt, residue, moss or other built up from the top of the patio, revealing a fresh and clean surface below. For personal and property safety, pressure washing cannot be performed on patios suffering from extensive structural damage. Besides, any of the above, our cleaning teams will do the best they can to bring your patio as close to its former good looks as possible, without risk of damage or error. 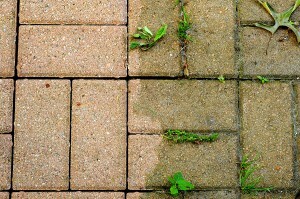 For best results and minimum service time, we recommend having the patio cleaning done in fairly good weather. For optimal results, our cleaning technicians will need a certain amount of hours, so please bear with them for the time being – they will be out of your way as soon as possible. The cleaning process is carried out by specially trained and qualified technicians who have the required skills and expertise for this technical cleaning process. They will be using certified, industry grade equipment in order to yield optimal results within minimum duration. Patio cleaning like our ironing services is available for booking seven days a week, under flexible hours. Our technicians can work unattended, but key pickup and drop off arrangements will need to be made in advance.